Europe’s dependency on Russian gas, especially in Central and Eastern Europe, has become a major strategic liability for the West. This is especially true as the war in Eastern Ukraine has brought relations between Moscow and Brussels as well as many of the European capitals to new lows. Russia enjoys a de facto monopoly on gas supplies to the Baltic States, Bulgaria, Moldova, Serbia, and Slovakia, as well as dominating the energy scene in Hungary and other European countries. This raises serious questions with regards to the Kremlin’s political influence in capitals from the heart of Europe to the Mediterranean. Allegations of corruption permeate political debates about the Russian gas supply and are putting increasing pressure on the EU and the nation-states to find economic alternatives. This is not the first time the Central and East European countries find themselves in a vulnerable position vis-à-vis Moscow. In early 2009, Ukraine rejected Russia’s proposal to raise gas prices from $179.50 to $250 per 1,000 cubic meters. 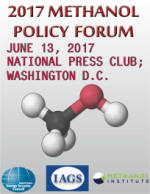 Vladimir Putin, then Prime Minister, accused Ukraine of siphoning off gas and ordered Gazprom to shut down all gas transit via Ukraine. As temperatures dropped below zero degrees Fahrenheit, it wasn’t just Ukraine feeling the effects of the disruption, but also 18 other European countries: Austria, Bosnia, Bulgaria, Croatia, Czech Republic, France, Germany, Greece, Hungary, Italy, Macedonia, Moldova, Poland, Romania, Serbia, Slovakia, Slovenia, and Turkey. The cut off, which led to a state of emergency in Slovakia and the closing of several factories in Bulgaria, served as a wakeup call for the EU. The situation today is not as dire, and based on Energy Security Stress Test released by the European Commission last month, if all member states cooperate, protected consumers would not be affected during a prolonged disruption. The Commission’s report also states that Bosnia, Bulgaria, Estonia, Finland, Herzegovina, Macedonia and Serbia are most vulnerable. There is somewhat different picture when it comes to the nuclear sector. 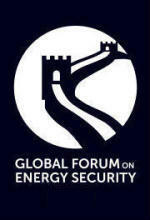 To reach its energy security and 2020 carbon emission goals and to reduce its overall exposure to energy security risks, Europe will have to diversify its sources of electricity beyond still very expensive renewables and recognize the continuing importance of nuclear energy, a sector in which the security of supply is driven by market competition. The Russian government has made a conscious effort to support, promote and build this flagship industry. Rosatom’s turnkey solution allows for competitive pricing, which has led to a doubling of the company’s international construction portfolio from the $50 billion in 2012 to an expected $100 billion by the end of this year. Meantime, US-based Westinghouse has tried to secure long-term contracts in Europe, and it is now taking advantage of the political and security tension between the EU and Russia over Ukraine. Thus, the stage is set for a competitive match. Energy supplies to Central and Eastern Europe, and especially the Balkans, have become a “football” in the worsening relations between Russia and the West – and the countries of the region. What is needed is dispassionate policy analysis taking into account both geopolitical and economic factors, which this article attempts to provide. According to the European Commission, the European Union consumed around 530 billion cubic meters (bcm) of gas in 2010. The European gas demand has been stagnating since 2010, when it peaked as a result of a colder winter than usual. 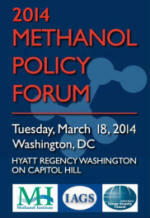 Nevertheless, analysts do not foresee any significant growth in future gas consumption. At least until 2020, the European gas demand is unlikely to increase due to a weak economic recovery in the gas-intensive European industry sectors, if any. Improved insulation of apartment buildings and more efficient use of renewable energy sources all across the continent will also contribute to the stagnation of gas demand. To prevent gas crises from happening again, and to diversify the European Union’s sources of gas, a series of projects have been proposed. These include interconnectors, liquid natural gas (LNG) terminals (such as at Krk Island, Croatia), and an additional pipeline, which would bring Caspian gas to the region. The goal is to supply Caspian and eventually Central Asian gas to Europe from and through countries that are more reliable and less politically motivated partners than Russia. The most promising are Nabucco-West, the Trans Adriatic Pipeline (TAP, connecting Greece, Albania and Italy), and the Trans Anatolian Pipeline (TANAP, connecting Georgia and Greece through Turkey). It is planned to connect TANAP to the already operational South Caucasus Pipeline, supplying Turkey and Georgia with gas from the Caspian basin. This raises the question of whether Turkey’s geopolitical dynamics today make Ankara a more reliable partner than Moscow. Time will tell. If the “Islamic State” is defeated and the outstanding issues between the Kurdish Regional Government and the central government in Baghdad are resolved, proposed pipelines from Iraqi Kurdistan to Turkey might be added to the mix. Even more promising is the development of offshore gas that could be exported to Europe from the Eastern Mediterranean (Israel, Cyprus and Greece) as LNG or via a pipe. To shield the EU countries, its most important clients, from potential disruptions that might occur along the Ukrainian pipeline network, Gazprom, together with its partners in the Balkans and Central Europe, launched construction of the South Stream project in 2012. The pipeline will bring Russian gas through the Black Sea to Bulgaria, Serbia, Hungary, Austria, and Greece. 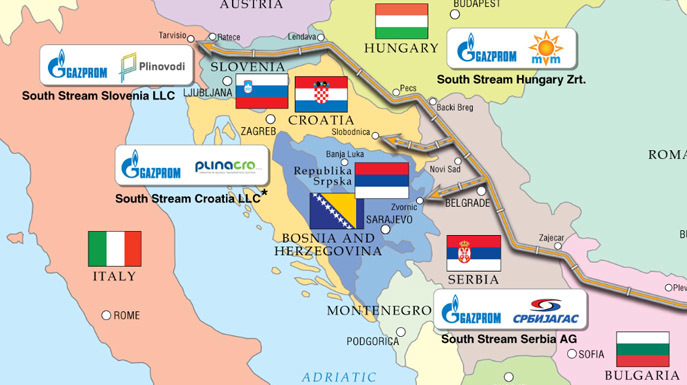 South Stream will transport gas directly from Russia through the Black Sea to its consumers in the Balkans and part of Central Europe, with plans to become operational in late 2015. Even though 58% of the public in Bulgaria, Hungry, Italy, Serbia and Slovenia believe that “the advantages of South Stream outweigh the disadvantages,” it must still meet all EU regulations in order for its onshore terminal to operate. Following the April 17, 2014 decision by the European Parliament to adopt a non-binding resolution against South Stream, Bulgaria has declared that the construction halted in June. In April, Russia turned to the World Trade Organization (WTO) and launched a complaint against EU’s “Third Energy Package.” The WTO decision will play an important role in the future of EU-Russian energy relations and will affect the energy mix in the Balkans. The lack of common energy policy within the EU makes consensus on major projects and policies virtually impossible. Each member is following its own political and/or economic goals. For example, Slovakia has been vocal in opposing South Stream. Hungary, Austria and several Balkan countries on the other hand are very welcoming of the potential jobs and transit fees resulting from a successful completion of South Stream. While some EU countries have been able to or are actively trying to diversify their energy sources and loosen the Russian grip on their economies, the energy tug of war between the EU and US on one side and Russia on the other has only intensified in the Balkans. Serbian ties to Russia harken back to the 19th century, when the Romanov Empire supported Belgrade in its struggle against the Ottomans and the Hapsburgs. Russia has been a vocal supporter of Serbia when it opposed Kosovo’s independence. The economic ties between the two countries are especially strong in the energy sector. Gazprom owns 56.15% of Serbia’s oil monopoly Naftna Industrija Srbije (NIS). The underground gas storage, Banatski Dvor, is owned by a Gazprom (51%) and Srbijagas (49%). As Serbia continues its push for EU accession it seems that the country will have to make some difficult political and economic choices. In late October 2014, Russia cut gas to Serbia by 28% because of its debt of $224 million and a general decrease in exports to Eastern European countries due to the Ukrainian conflict. The supply returned to normal just couple weeks later following talks between Aleksandar Vučić, the Serbian PM, and President Vladimir Putin and a subsequent repayment schedule agreement. Many Serbs turned out to pro-Putin demonstrations in Belgrade. Serbia’s energy sector is already strained due to coal shortage caused by floods, limiting the supply to the Nikola Tesla power plant that generates about half of the country’s electricity. The Serbian power utility Elektroprivreda Srbije (EPS) announced that it will have to purchase electricity from abroad. Serbian reserves, in storage facilities largely owned by Gazprom, can meet household demand for three months. Bulgaria, an EU member, is an important example of a EU member state that is actively trying to maintain good relations with Russia, its leading energy supplier, while attempting to diversify its energy sources. Bulgaria is importing nearly 100% from Russia. In 2013, Bulgaria paid 20 percent more for the Russian gas than some of its well-connected peers: $501 per 1000 cubic meters, in comparison to Romania, which paid $432, and Hungary - $391. In January 2013, nation-wide protests swept Bulgaria. What began as demonstrations against rising electricity costs turned into anti-monopoly and anti-government protests, and ultimately led to the resignation of the government of the controversial Prime Minister Boyko Borisov. Bulgaria has the second highest rate of energy poor households in Europe due to low per capita income: with 61% of the population spending more than 10% of the household resources on energy despite the fact that its retail electricity price in 2013 for households was the lowest in the EU (€0.0771 per kWh - 44% lower the EU28 average). As Serbia, Bulgaria finds itself between the rock of the EU and the hard place of Russia. Sofia suspended South Stream collaboration with Gazprom in June 2014, after the EU started an infringement procedure against Bulgaria for signing agreements with Russia – agreements which were non-compliant with European legislation. To diversify the supply, Bulgaria signed an agreement with Azerbaijan securing gas supplies via Greece from 2018 in a Memorandum of Understanding between SOCAR and Bulgartransgas that included the expansion of the storage facility at Chiren that would reduce its dependency on Gazprom. However, natural gas accounts only for a fraction of the country’s energy mix: about 10-15% of its total primary energy supply and less than 5% in electricity generation. With coal being the leading source of power (about 1/2 in power generation), the Bulgarian energy sector remains one of the most carbon intensive in Europe, making its difficult for the country to meet the EU-imposed targets on cutting CO2 emissions. In 2011 the Bulgarian government adopted an energy strategy which envisaged installation of low-emission carbon capture and storage technologies in the coal-fuelled power generation sector, replacing heavily polluting capacities with renewable energy sources and encouraging the development of nuclear energy, which causes no greenhouse emissions while provides a sound solution to the intermittency problem of renewable with a stable baseload contribution. It appears to be a daunting task. Unfortunately, Bulgaria’s attempts to put its energy sector in order are caught in the competition between East and West. Worse still, the geopolitical stand-off may be resulting in a strategic deadlock over the region’s energy sector development. Bulgarian nuclear industry harkens back to its Soviet past, when the USSR built nuclear reactors throughout the Warsaw Pact/COMECON countries. Over one third of Bulgaria’s electricity is supplied by two Russian-design VVER-1000 reactors, Kozloduy 5 & 6. Built in 1987 and 1991, they supply electricity at the lowest cost but are only licensed until 2017 and 2019 respectively. In October 2014, the nuclear power plant (NPP) signed an agreement with a consortium of Russian French firms Rosenergoatom, Rosatom Service, and with Electricite de France (EDF) to extend the life of unit 5 for up to 60 years. In the late 2013, then Bulgarian Minster of Economy, Dragomir Stoynev, unexpectedly announced that the Bulgarian Energy Holding (BEH) will begin negotiations with Japanese Toshiba’s U.S.-based subsidiary Westinghouse Electric Co. Ltd. on construction of a new reactor at the Kozloduy nuclear power plant (NPP), making it the 7th reactor to be build there. The decision was criticized for the lack of transparency. The Minister justified the cabinet’s decision to engage in direct talks with Westinghouse rather than launching a public tender, by explaining that it would be a vendor-financed enterprise and the electricity from the NPP will be bought by utilities in the market. However, as transpired later, the Bulgarian government would be stuck financing at least 70% of capital expenditures – or provide sovereign guaranties. The agreement with Westinghouse to build the 1,000-megawatt reactor at Kozloduy 7 was inked in August 2014. The project is estimated to cost over $5 billion (up to around $5,500 per kWe of nominal capacity, about 15-20% higher than with VVER reactors) and is expected to be completed in 2022. However, Westinghouse’s AP1000 reactors haven’t yet been completed or grid-connected anywhere in the world, and as always with a first-of-a kind project capital expenditures are likely to be much higher and delays are inevitable. The project to build an AP1000 reactor in Kozloduy comes at the heels of what has become known as the “Belene saga”. The idea of constructing a second Bulgarian nuclear power plant in the Danube town of Belene, has been around since 1981. The project was approved by the European Commission in the 2007. The contract between Atomstroyexport, subsidiary of Rosatom, and Bulgaria's National Electric Company (NEK) was signed in January 2008 in Sofia. In 2009, shortly after the pro-Western PM Borisov’s Citizens for European Development of Bulgaria (GERB) came into power, signalling the end of era Moscow’s geopolitical dominance of the country, GERB decided against the original 51% government ownership of the Belene. GERB also insisted on projected price to be lowered to 5 billion euro ($6.6 billion) for two reactors (or $3,300 per kWe) and on an involvement of Western investors, rejecting Russia’s Rosatom offer to help with interim financing. To make things more dramatic, Delyan Dobrev, the Minister of Energy & Economy, announced in March 2012 that Belene will not be built, and the 1 billion euro worth of Russian equipment already at Belene would be used in Kozloduy instead. Following the cancelation announcement, the opposition Bulgarian Socialist Party (BSP) began a petition for a referendum to restart the Belene project. The January 2013 referendum, did not reach the necessary 60% turnout. Out of the 20% of voters that did participate, 61.49% voted for and 38.51 % against the question whether "Should nuclear energy be developed in Bulgaria through construction of a new nuclear power plant?" Following the May 2013 win of the Socialist Party, Prime Minister Plamen Oresharski hinted at a possible relaunch of the Belene project. However, his energy minister Dragomir Stoynev few months later began talks with Westinghouse on their possible involvement in Kozloduy-7. As the government ended up in a yet another political crisis; resigned on 6 August; and conducted a snap election in October 2014, the Belene project remains cancelled. Instead of improving Bulgaria’s energy security, the nuclear sector became mired in law suits. To recoup its construction and production cost losses in Belene, Rosatom filed a claim totaling one billion euro against Bulgaria’s NEK at the International Court of Arbitration in 2011. In response, Bulgaria filed a claim of 61 million euro against Rosatom. The ongoing arbitration tug-of-war coupled with bleak economic growth prospects in the region spook private investors away from the country’s nuclear industry sector, leaving the Bulgarian taxpayers to pay the bills. 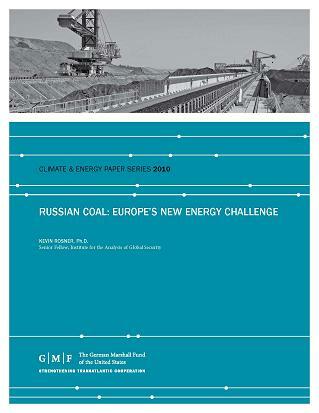 While the Kozloduy project is said to be aimed at reducing the country’s dependency on Russia a recent study published in Britain argues that the nuclear power sector is, unlike the one of natural gas, intrinsically immune to security of supply risks and, as far as the EU is concerned “the present balance of market and regulatory forces would appear to be functioning adequately from the perspective of energy security” regardless of the selection or vendors. The security of Europe’s energy supply, especially in the Balkans, rests not just in price, but also in availability and reliability of resources, and separation of the business models from geopolitical agendas. This is the biggest challenge in the region. The already struggling economies of South European democracies can are caught in a geopolitical game between the West and Russia. Transparency in decision-making is essential to curb corruption plaguing the Balkans and to protect the taxpayer value, all the while ensuring that geopolitical considerations are taken into account when making strategic energy decisions.